Plants of the Helleborus genus are hardy perennials. 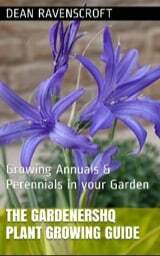 They are a sombre plant with flowers similar to anemones in murky colours, including pink, green, brown, plum and cream. Some of the common name for woodland Helleborus plants include Hellebore, Christmas rose and Lenten rose. Common Names: Hellebore, Christmas Rose, Lenten Rose, Setterwort. Flowers: Species dependent: Winter and/or spring. Flower Details: Cream, brown, plum, pink green. Flat. Anemone-like. Foliage: Herbaceous. Evergreen. Leathery. Pedate. Dark Green. Root balls: 3 inches (8 cm). Start of spring or the beginning of autumn. Spacing 6 to 18 inches (15 to 45 cm). Seeds: Surface 1/8 inch (3 mm). Germination time: one month to 1 ½ years. Seed: Method 1: Seeds should first be sown into peat pots in the autumn. Next sink the pots into the ground in an area that offers shade, preferably close to a wall that faces north. Provide a glass/plastic covering. Keep an eye on them to ensure that the soil remains moist. Bring the peat pots indoor at the beginning of spring and keep at 60 to 65°F (16 to 18°C). Transplant seedlings when they are 12 months old in either spring or autumn. Seed: Method 2: In the spring; sow into peat pots as above, wrap in a plastic bag, then stratify by refrigeration for three weeks. Next bury the pots as described above. Once seedlings emerge transplant them to their final location. Requirements and care: Dappled shade, winter sun ok. Good drainage. Soil pH 6.0 to 7.5. Humus. Moist soil. Regular watering. Light feed two times per annum. Tidy dead leaves and flowers in autumn. Propagate: by dividing the root ball following flowering. Miscellaneous: Many plants of this genus are poisonous and were traditionally used in witchcraft to summon demons. 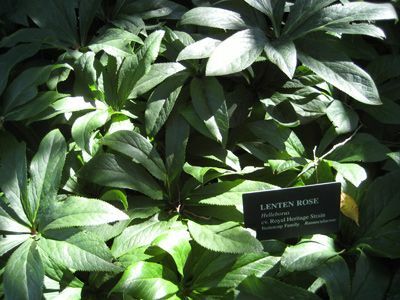 It is thought that Alexander the great died of an overdose of Hellebore. Though not the easiest plant to grow, Lenten Roses and other Helleborus plants are well worth the effort if you have a woodland garden. If you have Hellebore roots then they should be planted at a depth of 7 cm at the beginning of spring or autumn. The seeds of the Hellebore should be sown into peat pots at a depth of 3 mm, then put the pot in a black bin bag, then placing in the fridge for three weeks. the pots should then be transferred to a shady part of the garden in the spring and sunk into the soil. The pots should then be covered with glass. as soon as seedlings sprout the glass covering should be removed. The Helleborus plant seedlings should then be allowed to grow for a year and transplanted in either the spring or autumn into a shady part of the garden that has a rich moist soil of pH 6 to 7.5. Once established Hellebore (and other Helleborus plant) members will require to be watered regularly and need to be fertilized a couple of times a year with a light feed. At the end of the season in autumn, old dead leaves and flowers should be removed from the plant. If you require more Helleborus plants then they can be divided after flowering has finished, however be very careful that a large root is maintained.